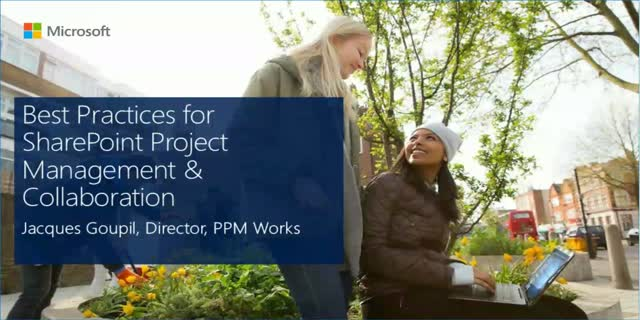 Learn how to advance project collaboration in your organization by expanding upon the standard Project Online or On Premise SharePoint project site template. The standard project site template provides collaborative features for project documents, issues, risks and deliverables. Join us for a live demonstration on extending the standard site template to manage change control, track project benefits, provide links to phase based document templates and increase accessibility to project business intelligence. Step by step instruction will be provided on the critical best practices of creating and maintaining project site templates. This webcast will equip you with ideas for extending the capabilities of project sites in your Project Online or on premise environment, as well as a general understanding of the technical steps to get started and avoid problems.